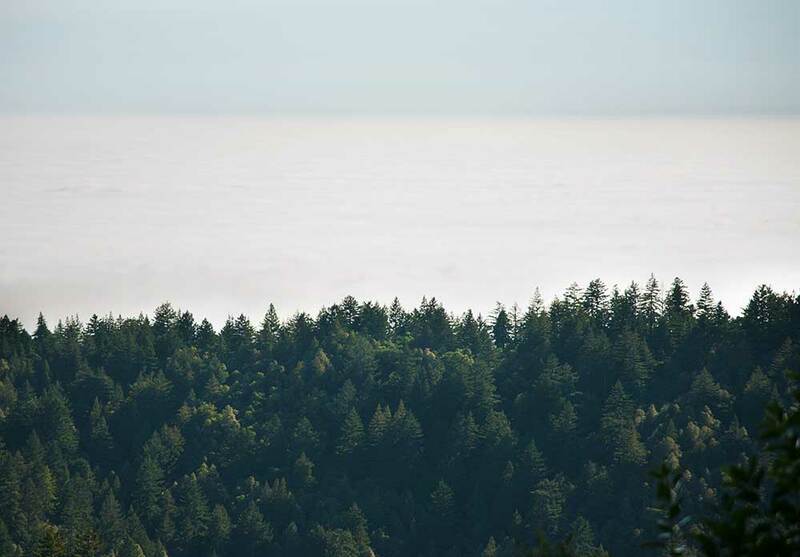 Overview: 8.8 mile, shaded hike that takes you to a massive sandstone formation, a vista overlooking the Santa Cruz Mountains and a towering old growth redwood. Getting there: From 280, head west on Hwy 84. Right on Skyline Blvd (Hwy 35). Park at the Skeggs Point parking area on the right hand side. You’ve got to go see this tree! 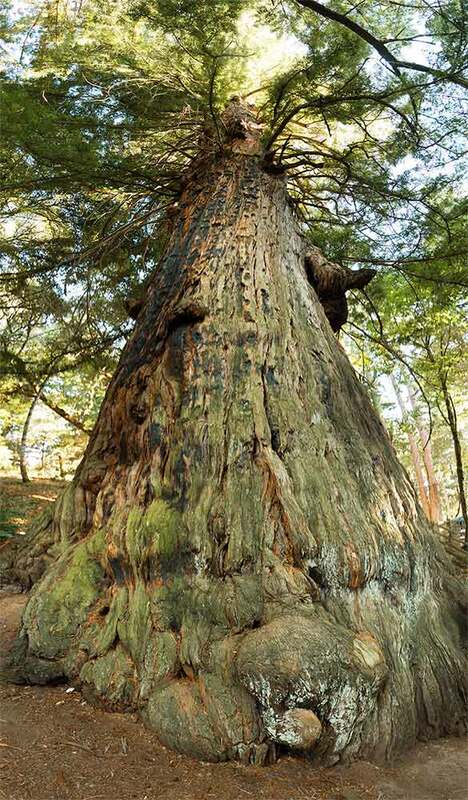 This is Methusela, the redwood. It’s huge and estimated to be over 1800-years-old. It’s well worth the effort to stop for a visit. 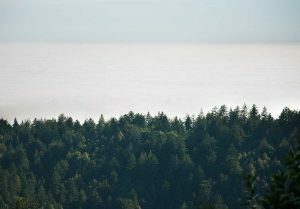 The view from the vista point side trail looks west toward the Pacific Ocean. There’s a picnic table here too if you’re looking for a place to stop for lunch. 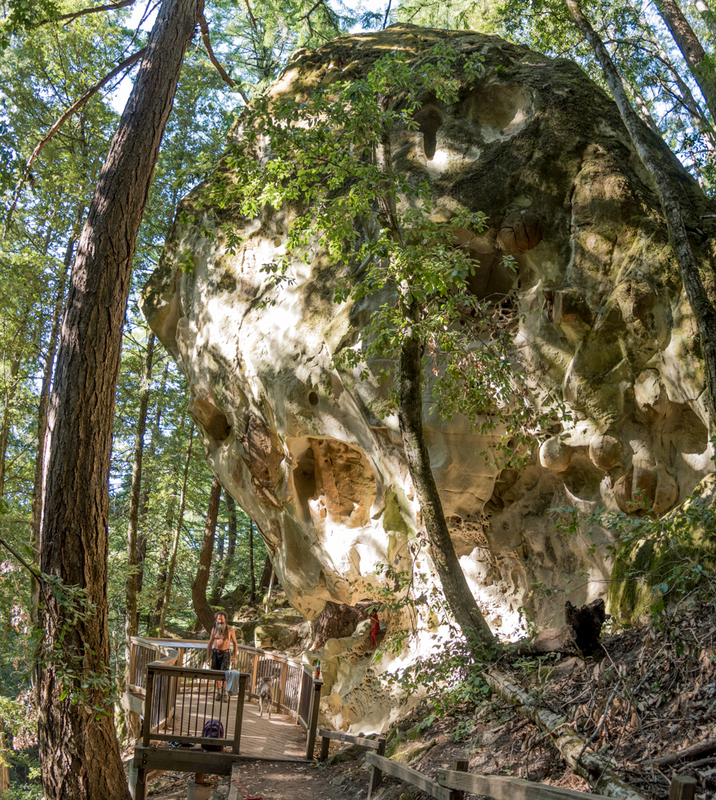 You have to take a .2 mile side trail to get to this sandstone boulder, but it’s well worth the extra effort…especially if you want the extra workout! There’s nothing like that feeling after a hard hike. It feels so good to have exhausted yourself in the mountains and pushed yourself physically in a beautiful place. Every part of your body is worn out, but beaming with contentment for what you accomplished. If you’re looking for that type of hike, look no further. 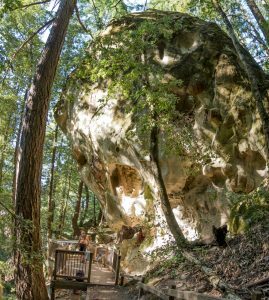 This 8-mile loop hike is one of our favorites and takes you through a mixed conifer forest, past a giant sandstone boulder, beautiful vistas and a massive old-growth redwood. Sounds good, eh? If the distance isn’t enough to make you break a sweat, then the 2,100ft of elevation changes will get you going. 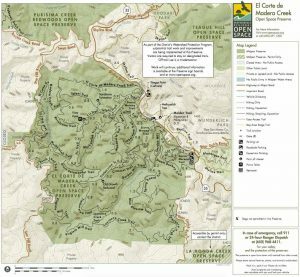 The hike starts with a long descent into the headwaters of San Gregorio Creek – prime habitat for endangered Coho salmon and steelhead trout. The creek is just a trickle here most of the year, but there are a series of beautiful metal bridges for when the water runs high. It’s clear from this part of the trail why San Gregorio Creek has some of the cleanest water in the Bay Area – it’s surrounded by an intact healthy forest. After an easy start downhill, the trail climbs back up towards the ridgeline – cutting through huge redwood and Douglas fir stands. Then the trail flattens out, which is when you know that you’re getting close to the gigantic sandstone boulder. They call it a “boulder”, but that makes it sound smaller than it really is. It is huge! Honestly, it’s the size of a small building. And its surface has unique cave-like indentations on it that resemble swiss cheese. It’s well worth the extra .2 miles down the side trail to take a quick picture, especially if you want to make your workout a little harder. A little further down the trail you’ll have another opportunity to earn some extra credit by climbing the .1-mile side trail to the vista point. Trust me, it’s worth the extra effort for the view. There’s a picnic table there too if you’re looking for a good spot to stop for lunch or to stretch. The next section of trail meanders through dense coastal forest and eventually drops back down to the headwaters of San Gregorio Creek. In the spring, when it’s still wet, this is a good place to look for California slender salamander, banana slug and California newt. Towards the end of this hike you’ll be near to one of my favorite places on the Peninsula – the Methuselah Tree. (You know a tree is going to be special when it has it’s own name…right?) This redwood tree is estimated to be over 1800 years old. Think about that for second when you’re standing there. This tree sprouted around the time Julius Caesar was calling the shots for the Roman Empire. If you’re too tired at this point on the hike for this side trip, that’s okay. You can visit Methuselah on your way home (here are the directions), it’s right off Skyline Boulevard. When you get back to the trailhead, pat yourself on the back…you’ll have deserved it after this one! 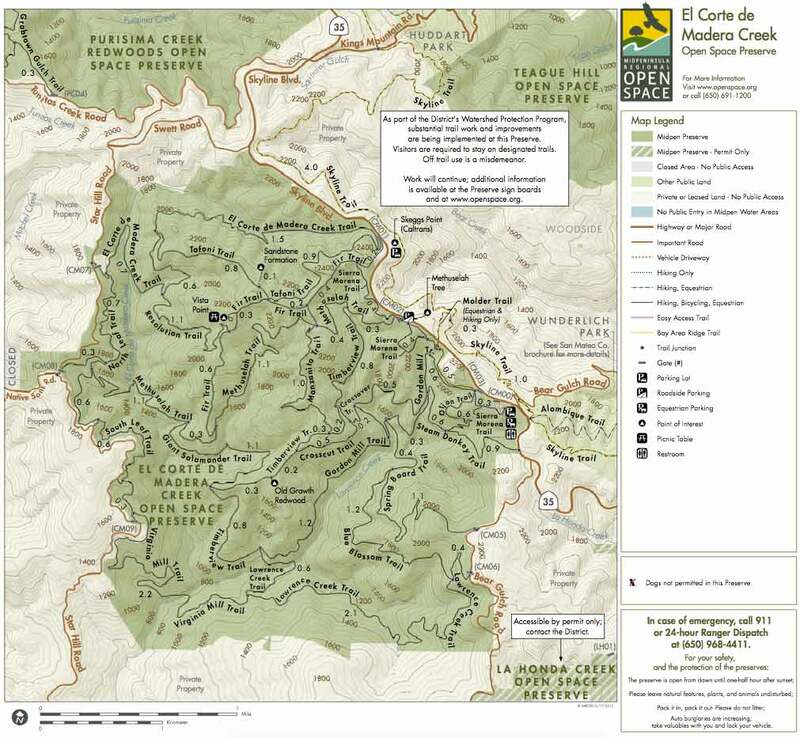 In July of 1985, POST successfully negotiate the sale of a 264-acre ranch near the southern boundary of El Corte de Madera Open Space Preserve to the Midpeninsula Regional Open Space District.